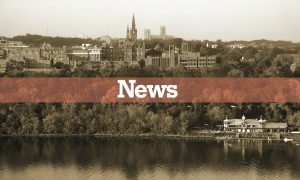 When five Georgetown students learned that Georgetown’s first full-time Title IX coordinator had left her position in June, they demanded answers from the university. The students claimed in an open letter addressed to university administrators that Georgetown had failed to share the update with the student body. Daria Crawford (COL ’20), Avery Moje (COL ’19), Kory Stuer (COL ’19), Andy Turner (SFS ’20), and Susu Zhao (COL ’19) published the letter on Aug. 31 as a response to the university’s failure to hire a new Title IX Office Coordinator. Laura Cutway’s position has been filled by interim coordinator Samantha Berner, who also serves as the Title IX Investigator in the same office. 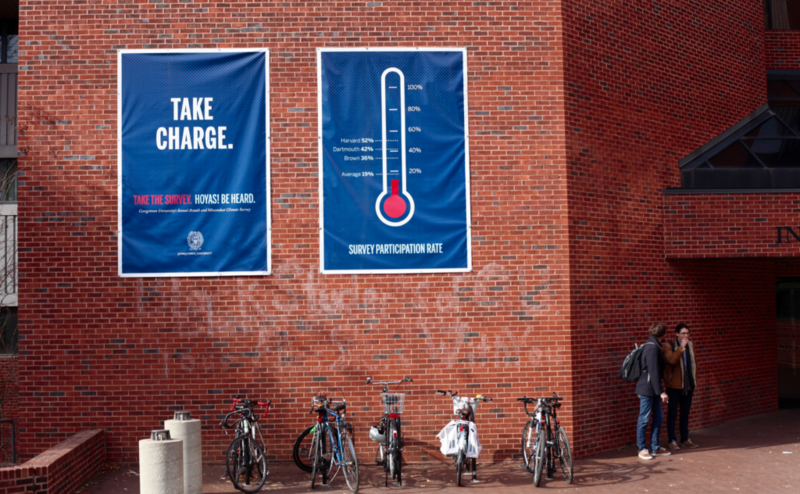 Part of what concerned Stuer about the university’s current lack of a full-time coordinator is tied to a concept called the “Red Zone,” the six-week period at the start of the school year in which sexual assaults occur at a higher frequency compared to the rest of the year. “Georgetown really isn’t treating this issue as a priority,” Stuer said. The letter also asked the university to explain how the same person serving as Title IX investigator and interim coordinator is not a conflict of interest. According to a university spokesperson, the investigator is responsible for conducting investigations into allegations of sexual misconduct once a complaint is submitted. They gather accounts and compile documentation to provide a report to the Office of Student Conduct. The Office of Title IX Compliance is neutral to all parties throughout the process of reporting sexual misconduct. Once it has guided the parties through the process and compiled a file on the reported incident, only the Office of Student Conduct is responsible for overseeing and conducting the adjudication process, including the hearing. A university spokesperson said that when both positions are filled, the investigator normally reports to the coordinator, meaning they are complementary to one another rather than conflicting. Rosemary Kilkenny, vice president for Institutional Diversity, Equity and Affirmative Action, and one of the three addressees of the letter, responded to concerns about the vacant position in the Title IX office with a statement that underlined that the university is not required to have a full-time coordinator, but rather chose to do so. The letter also asked why the student body had not been updated on the progress made by the university on the 11 recommendations of the Sexual Assault and Misconduct Task Force based on the results of the 2016 Campus Climate Survey. 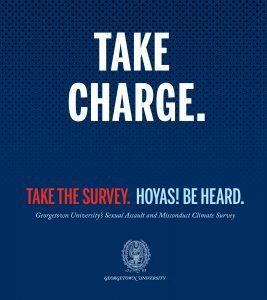 The survey revealed that one in three women, one in nine men, and around one in three students who identify as transgender, genderqueer, and/or gender non-conforming have experienced a form of non-consensual sexual contact while at Georgetown. Stuer told the Voice that he does not understand how the university could expect the student body to be aware of what recommendations have been implemented if the university does not publicize the steps it is taking to implement them. “There is a lack of transparency, I think thematically, when it comes to the way the university deals with sexual assault policy,” Stuer said. Of the 11 recommendations made a year after the original survey, the authors of the letter wrote they were only aware of two being implemented. With a new survey scheduled for 2019, they are concerned that an insufficient response to the 2016 survey shows a weak commitment to campus safety on the part of the university. A university spokesperson said that many of the 11 recommendations have been implemented, including requiring all first-year students and undergraduate transfer students to complete a five-hour, in-person bystander intervention training, and placing a hold on course registration for those who do not complete the training. The university also hired a staff clinician and sexual assault specialist in Health Education Services in spring 2018, and launched an online resource center and an online reporting form to increase access to a wide variety of resources for students seeking them. The letter specifically asked why a Coordinated Community Response Team (CCRT) has not yet been created. A university spokesperson said that the Sexual Assault and Misconduct Advisory Committee (SAMAC), the group currently tasked with responding to issues of sexual misconduct, is still working on how to create the CCRT without losing any efficiency. On Sept. 4, GUSA released a statement on upcoming Title IX changes proposed by Betsy DeVos and detailed why they believe the departure from the previous administration’s Title IX guidelines will require a reaction from the university. Grace Perret (COL ’20), the sexual assault and student safety policy chair for GUSA, whose signature is the first at the bottom of the statement, spoke about the importance of the topic. According to Perret, the main objective of the letter is to create awareness of the change in policy and inform people about the 30-day notice and comment period that will follow the release of the new Title IX guidelines. The Department of Education must respond to public comment submitted during the period. Casey Doherty (COL ’20), who is a student representative to the Georgetown University Board of Directors and also signed the statement, stressed the importance of getting Georgetown to make an official comment and preparing students to submit their own comments when the time comes. That these issues extend beyond Georgetown’s campus has not escaped the attention of the authors of the open letter either. Inès de Miranda is a junior who has no idea what she'll do next but loves contributing to the Voice in the meantime. Also, she's French (Editor's note: it comes up), and works (Inès's note: too much) in a French pastry shop.